What Country do my SEO Results Come from? In Rival IQ we display SEO results using the default search engine of US/Google. 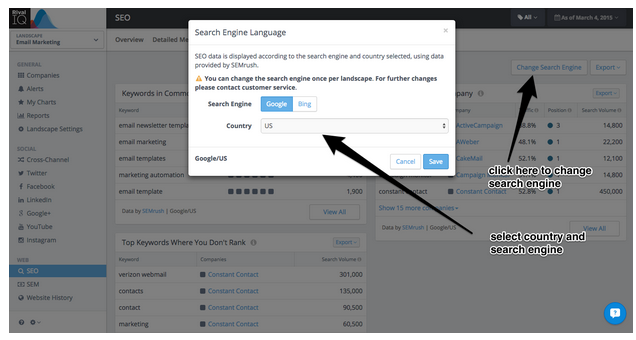 You may wish to change this setting to change the Search Engine setting on a per-landscape basis. To change the value, visit the SEO page and click "Change Search Engine". You'll see a dialog like the one below, which gives you the ability to change the Search Engine to Google or Bing, and the country used for the search.